Hawksworth St Mary and All Saints church was founded in the 12th century by Walter and his wife Cecelina, as commemorated by an undated Norman tympanum on the exterior tower wall. It is thought this was around 1150 and that Walter was of the de Sancto Paulo Lords of Sibthorpe family. 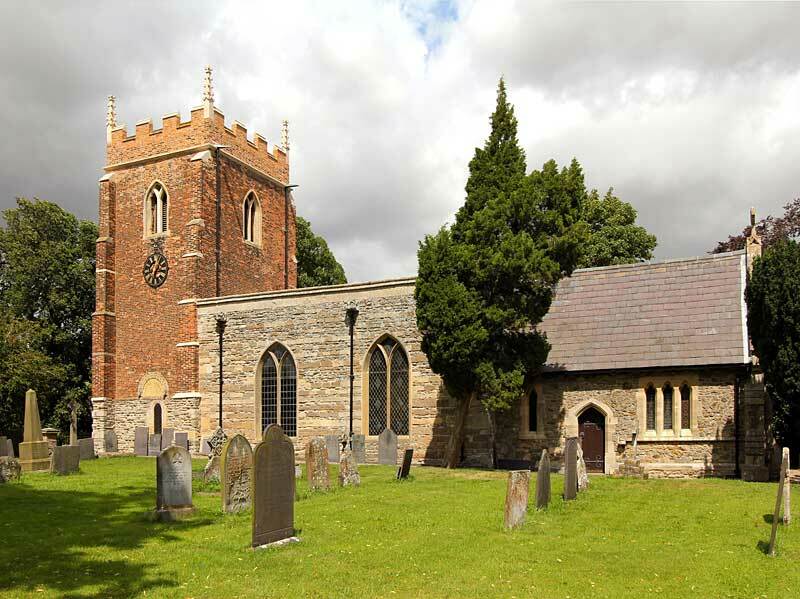 Documents refer to an earlier church dedicated to St Edmund, and the presence of an Anglo-Saxon decorated cross shaft suggests there may have been a site of worship here much earlier. The church consists of a west tower, nave, north aisle, chancel and vestry. The lower part of the tower is 13th century skerry limestone with square set buttresses, but the church is unusual in having a brick built upper tower which dates from around 1700. The nave, north aisle and chancel were extensively rebuilt in the 19th century. In 1813, the nave was repaired, the south porch removed and a new porch was erected on the west of the tower. The north aisle was built in 1837 and in 1851 the chancel was rebuilt of stone and slate, the chancel arch was restored and stained glass by Wailes was put in the east window. In 1866 a new west door with stone arch was added, the west porch was removed and the dedication stone was placed in the south wall of the tower. The clock was added in 1873 when the third bell was fitted. Particular thanks to Anne Dunn for research on this entry and thanks to Anne, and Chris Brooke, for the photographs.